Have you ever thought of trying a new meal? If yes, then this is the platform where we are going to teach you on how to make waffles. 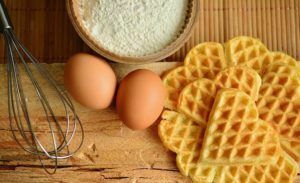 Waffles are made from unleavened dough cooked between two patterned iron plates. They can be made in different shapes depending on your waffle iron models, like round shape or rectangular shape. The good thing about waffles is that you can customize the taste according to the flavours you have. Otherwise, there are many ways of making it. Here is a simple recipe to give you an idea of how to go about it. The dough is the main ingredient in a waffle. The other ingredients are there to add a better taste. You may need to put some more ingredients to make your waffle taste better. The toppings can make it taste even better. The following toppings can make your waffles have a better taste. Then again, choose the toppings suggested below with a consideration of the flavour of your waffle. Syrups such as caramel, maple syrup and flavoured syrup. In all cookery, which involves use of dough, the dry ingredients are mixed separately from the liquid ones. So, for the dry ingredients; add the salt, baking soda and sugar to the flour to the bowl and mix the ingredients. Then, use a sieve to make the ingredients finer. For the liquid ingredients; put liquid ingredients separately, the eggs, the flavour and the butter. For the eggs, separate the whites from the yoke. Then beat the egg whites until they start to foam. Please ensure that the yoke does not get mixed up with the whites, it interferes with the foaming. Mix up the flavour and the butter thoroughly until they become uniform. Make a depression in the flour and pour in the egg yolk. Mix until it wets the whole flour then add the mixture of flavour and oil stir but be careful not to over mix. Over mixing fosters gluten which causes the dough to be dense, this makes it very difficult to pour and spread on the plate. Add the white of the eggs to the already wet dough, mix until the whole mixture is consistent. Pre heat the baking plate. Once ready, oil the plates. Doing this prevents the waffles from sticking on the plate. Pour the waffle gently on the plate and pour just enough. Close the waffle iron gently, and wait for about three minutes. Watch the waffle iron carefully, when the steam production reduces, it means it is just about to be ready. 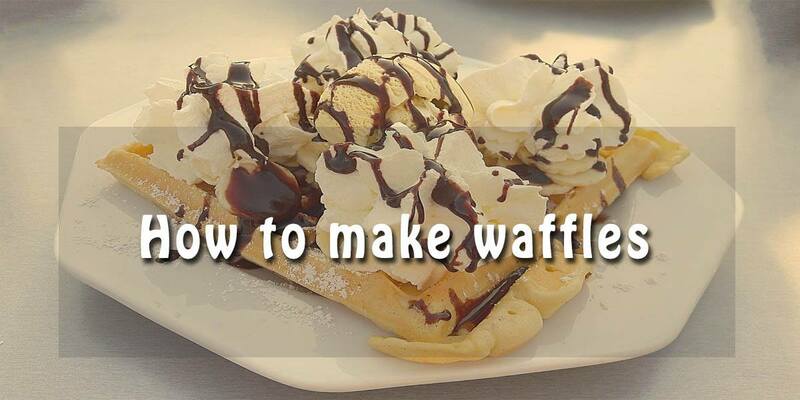 Once cooked, remove the waffle with a spatula, or if you can wait till it becomes cold, you can remove it by hand. Add the toppings and serve. 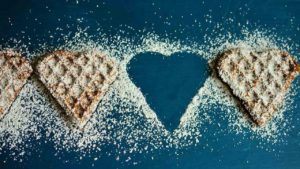 Waffles can be a very healthy and enjoyable breakfast especially if little sugary stuff is used to make it taste. If possible, go for natural ingredients which are more healthier and have good calorie level.